Starting a citrus orchard can be a very profitable venture for farmers. Not only are citrus fruits popular all year round, but with today’s current obsession with healthy diets and vegetarian culture, they stand to be more sought-after than ever before, assuring any farmer of a healthy profit come harvest time. 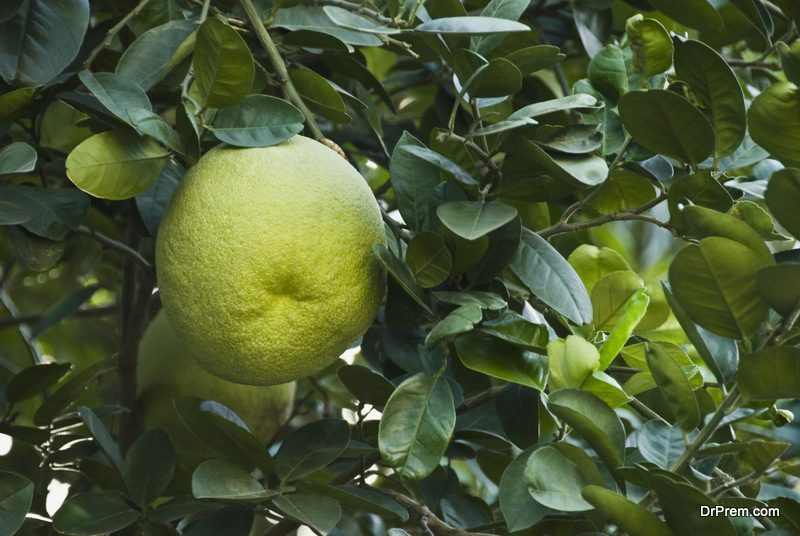 However, just like with any fruit-bearing crop there are best practices to keep in mind and implement in order to ensure the best quality and quantity in marketable yield, whether the farmer is just starting out or continually managing their citrus orchard. Many advances in science and technology have helped revolutionize and improve many aspects of agriculture, with one of them being crop monitoring. Instead of resorting to time-consuming and costly ground-based spot-check crop inspection, farmers can now rely on aerial spectral imaging for citrus farms to decipher the overall health of their crop in a much more expedient, efficient, and complete fashion. With this particular method, aerial photographs of the monitored farm are taken by aircraft equipped with sensors and cameras. Each photograph is taken in different light spectrum wavelengths, allowing for deeper and more accurate diagnosis of crop health by examining factors such as canopy cover and chlorophyll content. Other factors such as water stress and irrigation effectiveness—both of which need to be measured to ensure favorable citrus yield—can also be discovered, tracked, and monitored with this service. A fruit orchard site should always be chosen with the following in mind: good drainage, appropriate soil conditions, water availability and likelihood of frost. Citrus trees need specific soil conditions to grow and thrive, and deviating from the parameters required for growth can result in a less-than-ideal yield. For example, soils that are perfect for citrus include coarse sandy loams and fine sandy loams that are deep and well-drained, and possibly with a ground water table at below the 5-foot depth. Soil PH should also be in the range of 7.0 to 8.2, and salinity should be less than 2 milliohms per centimeter. Without windbreaks to shield citrus-bearing plants from wind, not only can the produce suffer from wind scarring—which causes unattractive blemishes to the citrus fruit rind—but it also exposes low-borne fruit to the ground, where insects and pests may be able to reach them. These can obviously result in yield loss. Therefore farmers should grow windbreaks where appropriate, and irrigate, fertilize, and prune them as necessary. Citrus-bearing trees generally do not require regular pruning. Pruning should only be confined to the removal of deadwood as well as weak shoots and suckers. Grapefruit, in particular, should not be pruned as it can cause Rio Grande gummosis disease to develop. Lemon trees are, however, an exception, requiring regular trimming and thinning to prevent shoot overgrowth. Sunburn can have a detrimental effect on citrus tree yield, so it is the farmer’s responsibility to take measures against it. This can be done by wrapping the trunk of the tree with newspapers or tree wraps. Ensure that the wrapping is loose and not tight. Branches and exposed trunk can also be painted with diluted water-based, non-enamel paint to further reflect heat. In the event that pests are detected, farmers should always choose to use pest-specific, targeted insecticides rather than broad-spectrum chemicals. This is because broad-spectrum insecticide has the potential of killing off insects that are not only beneficial to crop growth but also those that control the pest population. Rotating between specific chemicals during spray routines is optimal, to prevent pests from becoming too resistant to the chemical used. 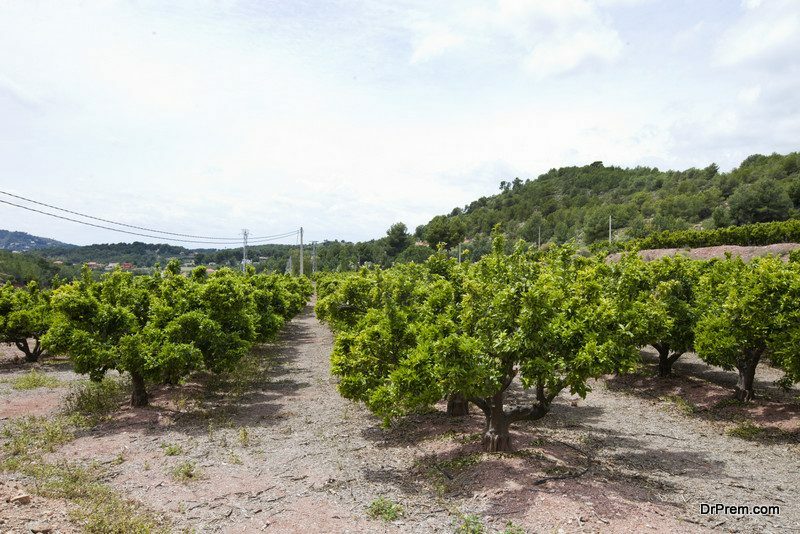 Citrus orchards can yield a healthy profit for any farmer, but as with all fruit-bearing crops, citrus trees offer challenges for the farmers to overcome. However, by keeping the abovementioned practices in mind and in practice, farmers can maximize their orchard’s harvest yield and maintain its consistency for the years to come. ← Do e-Cigarettes Affect the Environment as much as regular cigarettes do?